I’m trying to figure out how his vocal cords got damaged when he went for heart surgery. I’m guessing they put a tube in his throat and either they put it in the wrong way or took it out the wrong way. Poor Lindsey. I’m glad he’s ok. I hope and pray his voice is not permanently damaged and just temporary. It's a lot of medical terminology, but the gist of it is: "Injury to the recurrent laryngeal nerve is reported most often following operation on theneck, especially thyroidectomy." Apparently, it has to do with nerve damage. Disclaimer: I am not a doctor, nor do I play one on TV. With the bandage around his neck I'd say it wasn't the endotracheal tube (the tube they put in the mouth that goes down to the start of the lungs) intubation that caused it. Maybe they did do a tracheotomy. They only do those if they cannot do a successful oral airway intubation with an ET tube or laryngeal mask airway (LMA). The bandage on his neck makes you think they had to open his neck for whatever reason. But I'm not aware of any heart surgeries that require the neck to be incised. I'm hoping it wasn't like he coded and they couldn't get a normal airway down or maybe when they were inducing anesthesia and couldn't get him intubated the normal way. Either way, I'd really like to know why his neck was messed with for an open heart procedure. We will probably never know, and that's fine. But I am curious. Here's hoping his vocal cords can heal. Either way, I'm just glad he's ok. Even if he can't sing, just to know he's alive and doing better is all I care about. The last two years haven't been kind to him. I agree, Austin. Why was his throat mess with. I had caught quiet about that on Facebook, but every time I see his hospital I wonder what happened. I wouldn’t be surprised if they sue them. You basically might have taken away his singing. His livelihood. Maybe it will come out later with what happened. Lindsey and Kristen have been opened this past year. I’m just glad Lindsey is alive and well. Doesn’t Lindsey have another brother? Yes. The lawsuit thing is a tricky one. On one hand, they did very likely jeopardize his livelihood. On the other hand, if it was an emergency airway (which we are only speculating here, we do not have the details, let me be clear) because of a code blue/respiratory arrest and they couldn't get him intubated or because he stopped breathing when they were putting him under and they couldn't do it the normal way with a oral airway, it was a lifesaving procedure which if they hadn't done it, he would have died. They didn't have a choice or time to worry about vocal cords in this instance IF (big if) that in fact took place. In that case, I side with the hospital because I'd rather be alive and not able to sing than be dead. If it was caused by medical/surgical error, they absolutely have every right to sue and be upset with the doctors. Well, I am certainly not a doctor but from the looks of the picture it looks like the doctor had to insert a trach tube. I would assume there was some kind of medical emergency that required it. Hopefully, the nerve is just bruised and will heal so he doesn't loose his voice. I remember reading back when the lawsuit was settled about his Dad and older brother dying so young. The article stated his older brother won a silver medal in the 1968 Olympics while on the US Swim Team. The article also stated the heart problem was some kind of inhert. issue. I think his kids are still young so this must have been very scary for them all. I hope Lindsey makes a full recovery. 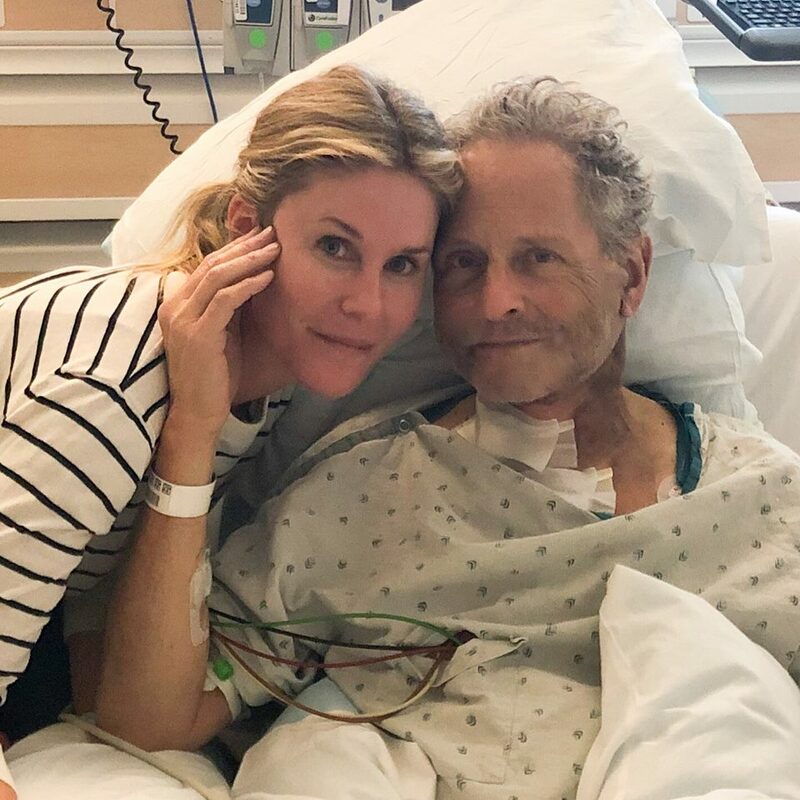 "Buckingham’s publicist said in a statement Friday that he experienced chest pains last week and was taken to the hospital where he had the life-saving procedure." So how do we read this? That maybe at the onset of symptoms his family was able to drive him to the hospital where he was taken care of before it reached a full-on heart attack, or the "chest pains" were a heart attack and "was taken" means had to be rushed by ambulance? Either way, having to get emergency open-heart surgery is bad, of course! Still, one scenario is a lot scarier than the other. The neck and vocal chord puzzles me, too, but I have zero knowledge of such things. Generally they only do open heart surgery for a heart attack if it's too bad to do stents with a heart catheterization. Usually they take them to the cath lab first to attempt balloons/stents, and if it's too bad or too many blockages, then they ship them to the OR for bypass surgery. Thanks for the info, Austin. That does sound bed. The last time I had to go to Atlanta, GA for a checkup on my heart, the lady doing the exam also looked at my neck. There are, in fact, arteries in the neck that somehow work in conjunction with the heart and those arteries can become clogged just like the arteries that lead from the heart to the rest of the body. Here's hoping that he has a quick recovery).